Successfully saved Kiwi Mandarin Spinach Salad with Creamy Avocado Dressing to your Calendar. You can also save the ingredients to your Grocery List. 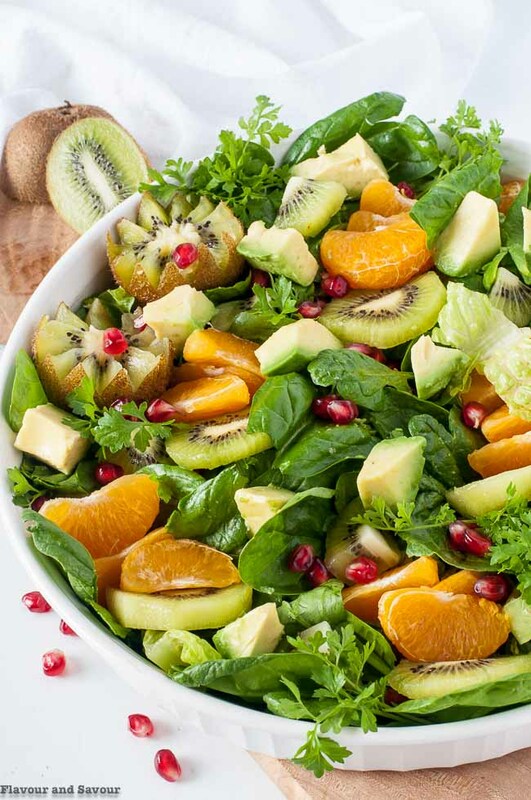 This Kiwi Mandarin Spinach Salad has a winning combination of healthy greens and colourful fruit, rich in Vitamin C to boost your immune system! Delicious with a Creamy Avocado Dressing, it makes a beautiful holiday salad for dinner or lunch.